Carson Cashion is a first-year Staff Reporter for the Brantley Banner. He is a junior at Lake Brantley High School, and is looking forward to gaining writing experience and improving his skill while on staff. He plays trumpet in the Lake Brantley Band, and plays Water Polo for the school in the spring. He is also a member of the National Honor Society, as well as Latin club. When he isn’t involved in extracurriculars, Carson enjoys playing fetch with his German Shepard, Baxter. He grew up surrounded by sports, and was brainwashed by his brothers into becoming an avid watcher of every sport besides golf. His biggest accomplishments in life include passing the AP World History national, teaching his dog to shake his hand, and convincing his father to take him to the 2018 Rose Bowl. 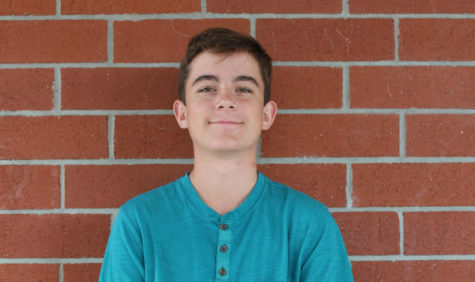 After high school, Carson hopes to go to whatever university will take him, and pursue a career in sports journalism.